RALEIGH, N.C. — While the U.S Department of Homeland Security said there is no specific, credible threat involving other cities or public venues in the Unites States, security following the massacre in Las Vegas is at the forefront of everyone’s mind. 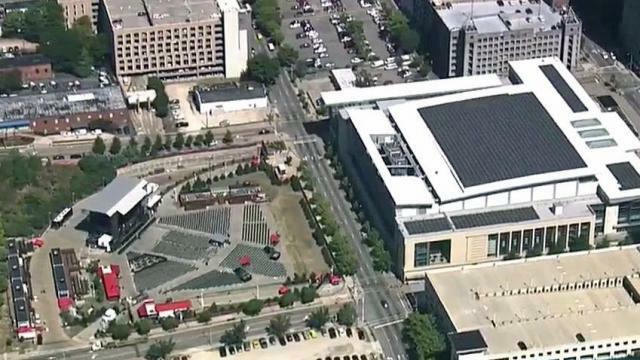 Wake County Sheriff Donnie Harrison said that Red Hat Amphitheatre in downtown Raleigh brings a unique set of risks. 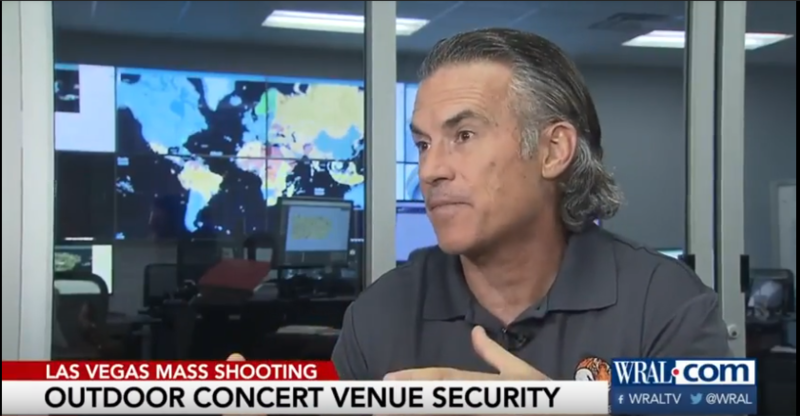 Jim Reese, head of global security firm TigerSwan, understands how vulnerable outdoor venues can be. Reese’s company has worked with major rock stars like the Rolling Stones and Jennifer Lopez. He said the first thing they do is an assessment of the concert venue. It starts on stage. “That place starts as your X, then you work your way out, in what we call concentric rings of security,” he said. His group employs technology to scope out what he calls anomalies, things that raise red flags. “There’s different types of cameras. There’s sensors if someone passes by that shouldn’t be there,” Reese said. Private security firms typically pair up with local law enforcement agencies in securing outdoor venues, but Harrison and Reese acknowledge that nothing is foolproof. “If you’ve got somebody, whether it’s a terrorist, whether somebody who’s just lost it, or somebody who wants to prove a point or make the news, if they are willing to give their life, it’s going to be hard to stop that person before they do damage,” Harrison said.